Is your Dream to be a Keynote or Motivational Speaker? and grow your business through professional speaking? Are you an amateur speaker who wants to become a pro? Position Your Mindset: Develop the winning formula to grow your speaking business and achieve your goals. Clearly identify your position within the market, target audience, message and topic. Get feedback on branding, speech titles, marketing strategies to promote yourself as the expert. Learn key strategies for setting your speaking fees and getting booked. Receive Lori’s proven formula and template for developing a powerful speech. Receive copies of Lori’s speaker marketing packet and learn how to create yours. Receive Lori’s structured follow up system for contacting, booking and managing speeches. 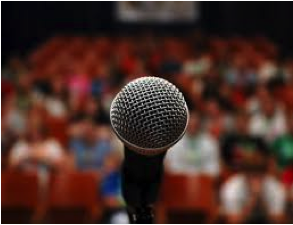 Learn how to sell effectively from the stage to share your continuing education materials with audiences. Explore information marketing, coaching, training and how to create packages your audience wants to invest in – because they want more of you! Whether you need help to identify your target market and platform, or you’re already an amateur speaker who wants to improve, Lori’s proven strategies will dramatically shift your ability to get booked, create programs and turn your hobby into a profitable business. You’ll be able to leverage Lori’s blueprints to help you create a killer speech, follow up and manage your leads and contracts for booking that cover all of your needs. The blueprints will save you many hours and thousands of dollars in trial and error from learning what works and doesn’t at speaking events. Lori offers a VIP jumpstart program (including a full day together) or monthly coaching packages. Sessions can be done in person, via phone or Skype depending on your location and preference. Schedule a complimentary session learn how you can and position yourself for success in a fun and inspirational career as a motivational/keynote speaker! “Before I heard Lori Hanson on the stage at an event in Denver, I figured I’d develop my own speech for a conference at which I’d been asked to give the keynote. After all, I’d done a lot of public speaking over the years – at writer’s conferences, book signings, community events, and as the president of the National Alliance on Mental Illness (NAMI) in Colorado Springs. Surely I could take the step to the next level without help. But when I heard Lori speak, I was reminded of what a real professional sounded like. I knew I wanted to speak like that!